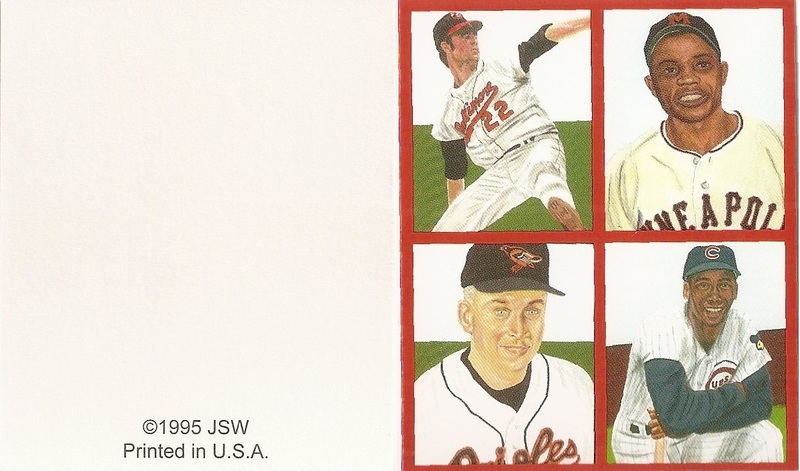 Artist James Wright did the artwork for this unlicensed set. The JSW All-Stars have 18 different subsets and the same images are used on the cards of the various subsets. It is kind of a precursor of the modern parallel sets. The fronts use the styles of existing sets, while the backs are very basic. The sizes of the subsets vary. 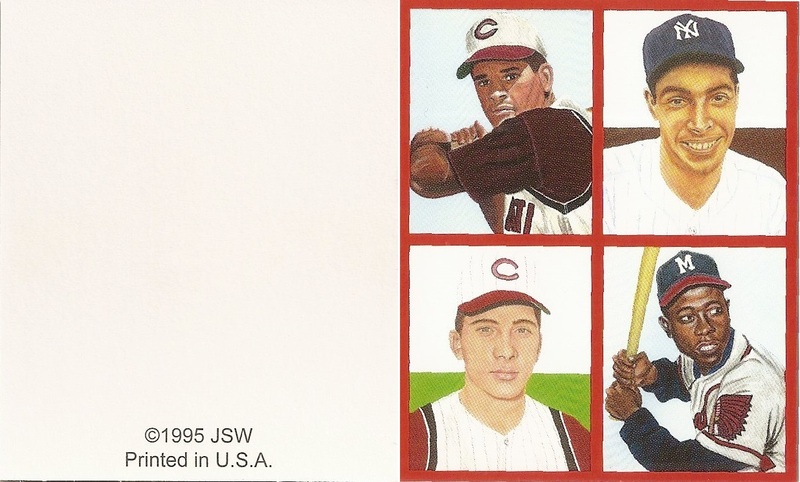 The '33 Goudey, '35 Goudey, '48 Bowman, and '50 Bowman are small, measuring 2 x 2 inches. 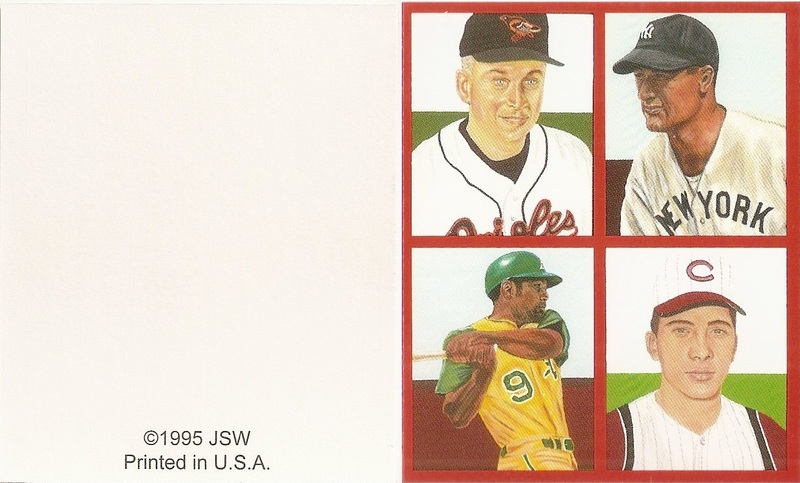 The '51 Bowman and '52 Bowman are 2 1/2 x 3 inches, while the rest of the subsets are 2 1/2 x 3 1/2 inches.